Directed by Megumi Nishikura & Lara Perez Takagi. 2013. Japan | Georgia | Mexico. 90 mins. Japanese and English with English subtitles. With an ever increasing movement of people between places in this transnational age, there is a mounting number of mixed-race people in Japan, some visible others not. Hafu explores the intricacies of mixed-race Japanese and their multicultural experience in modern day Japan. 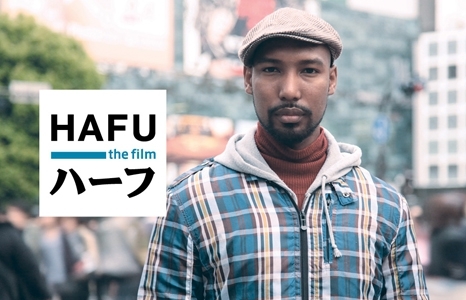 The film follows the lives of five “hafu”—the Japanese term for people who are half-Japanese—as they explore what it means to be multiracial and multicultural in a nation that once proudly proclaimed itself as the mono-ethnic nation. For some of these hafu, Japan is the only home they know. For others, living in Japan is an entirely new experience, while some are caught somewhere between two different worlds. As the film interweaves five life stories, audiences discover the depth and diversity of hafu personal identities. Official Selection: Asian American International Film Festival. Los Angeles Asian Pacific American Film Festival. Special guest: Marcia Yumi Lise, the film’s researcher and thematic adviser, will introduce the film on Nov 3 at 7:30pm.